One of the toughest challenges for businesses everywhere is printing on the irregular surfaces created by mailers with thick flaps or other irregular surfaces. 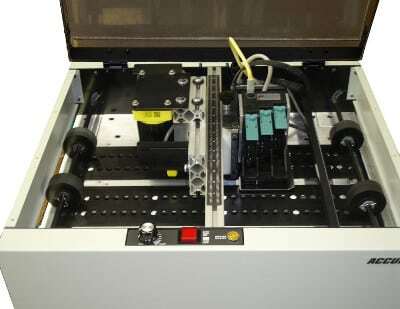 The innovative AccuFast P8 Addressing System solves this and other common mailing problems with its individually adjustable eight-cartridge print bank. Your current address printer or label applicator works great, most of the time, as long as you don’t ask it to do anything special or different. Unfortunately, those special and different things are exactly what set you apart from your competition, giving your mailings a professional edge. Along with its independent banks of print heads, the AccuFast P8 Addressing System also has the most vacuum power of any table top address printer on the market. Controlling each print head on the entire 14-inch print path is great, but what’s even better is when your printer can communicate with other devices on your line to create even more automation, including custom mail sorting. Optional features include imagers with automatic capping and wiping and camera attachments to give you a full range of functionality that can’t be equaled. Accepts documents up to 3/4 inches thick. Print area totals 4 inches, split into two 2 inch sections. Adjustable production speed of up to 50 inches per second. Twin belt vacuum transport with 330 cfm flow rate. 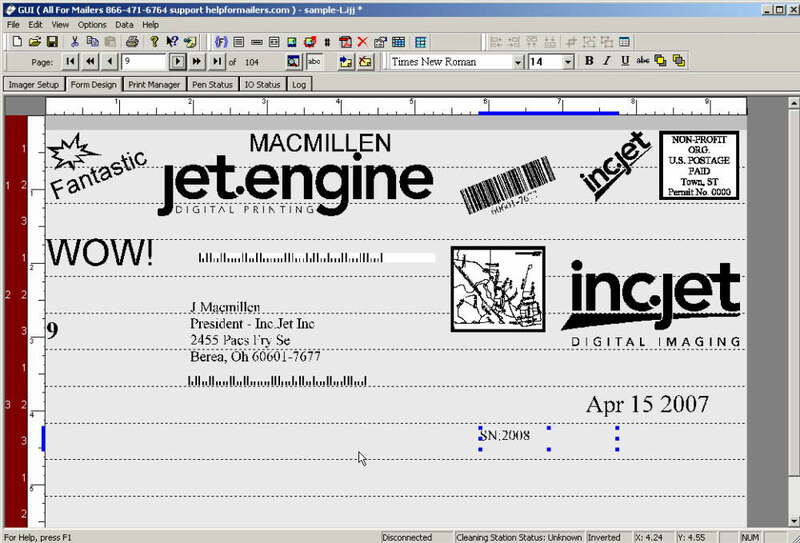 Communicates using the compliant print driver or included Jet Engine Design software. Integrates with I/O capable feeders and inserters. When you need more customization than you ever thought possible with an address printer, you need the AccuFast P8 Addressing System. Click here to learn more! Print resolution of up to 600 x 600. UV Cure inks and drying systems optional. Requires 120 volt 5 amps 60 Hz or 230 volt 3 amp 50 Hz grounded outlet or Uninterrupted Power Supply.